The world’s first smartphone with an in-display fingerprint scanner was recently showcased by Vivo and Synaptics at CES 2018. During the event, the company revealed that the smartphone would be released by the end of January, but didn’t confirm a release date. Now, the Chinese company has confirmed that the smartphone, called Vivo X20 Plus, will be launched at an event on January 24. Vivo will be hosting the launch event in Beijing at 7:30 PM CST, where it will unveil the finished product. The company has released launch posters for the same, but the posters don’t reveal much about the smartphone in terms of specifications or pricing. 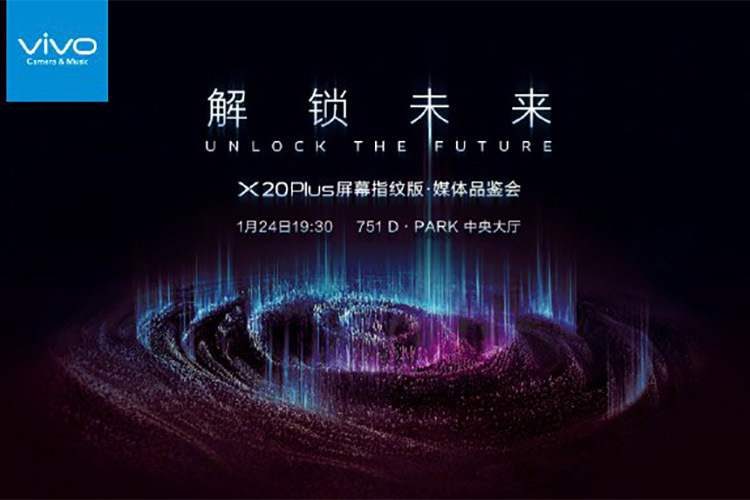 However, previous rumors suggest that the specifications will be quite similar to that of the regular X20 Plus, which comes with a Qualcomm Snapdragon 660 SoC, 4GB RAM, and 128GB internal storage. The device features the Clear ID 9500 optical under-display fingerprint sensor from Synaptics, which is sandwiched between the glass panel and the OLED screen on the device. The fingerprint scanner is capable of unlocking the device in just about 0.6-0.7 seconds and can also be used for authenticating payments. Other specifications include a 6.43-inch FHD+ display with an 18:9 aspect ratio. The smartphone will be released with Android 7.1.2 Nougat with an Oreo update in the works. Additionally, the Vivo X20 Plus will feature a 12MP+5MP dual camera setup and a 12MP selfie shooter. A 3,800mAh battery will power the device, meaning that the smartphone will have great battery life as it includes a power efficient processor and an OLED display. 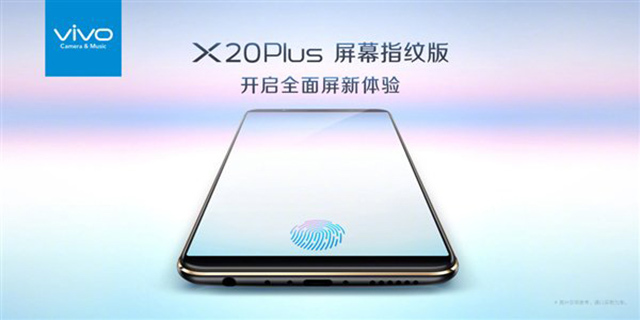 Previous reports claim that the Vivo X20 Plus with in-display fingerprint sensor will be priced at 3,998 Yuan, but there’s no confirmation from the company regarding the same.